Dodge's Charger and Challenger SRT pair became famous after it got the company's range topping engine 6.2-litre supercharged V8 707bhp engine. But it wasn't suppose to be that powerful. Reported by Detroit Freep, the engineers were were actually targeting the 600bhp mark which is a crazy figure in its own right. However, once the team got news that the 2013 Ford Mustang GT500 had 662bhp, Fiat Chrysler Automobiles (FCA) thought they could do better and set their sights on 675bhp while being as fuel-efficient as the original 600bhp target. Then things got more interesting then when the main powertrain engineer behind the Hellcat, Chris Cowland told his team that he was looking at 707bhp and wanted to keep that infamous figure secret during the engine's development. When dyno charts were needed, it only available to the small team developing the engine, hidden from everyone else at FCA. 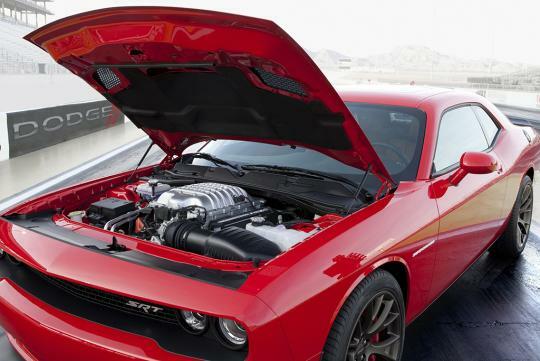 Thanks to Cowland, the Challenger SRT Hellcat and Charger SRT Hellcat stunned the world when it was revealed with so much horsepower from the factory.